Child support modification attorney explains that our daily life situations are constantly changing; therefore, our conditions and needs often require a revisit. When the conditions surrounding your life are altered, it is conceivable that court orders comparative to your prior family law issue may no longer be applicable. Our Family Law Firms’ commitment and knowledge allows us to propose thorough legal services for the modification of family law orders in California. A significant alteration in situations may portray current orders as obsolete for child custody, child support, visitation and/or spousal support. If this is the situation, a post-judgment modification may be necessary. The child support modification attorneys of Yanez & Associates, can assist you through the legal procedures for a modification of orders, even though we did not represent you in your divorce. 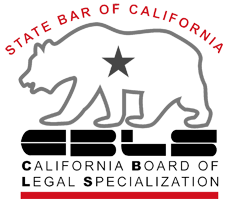 We prudently study the present orders and judgments, evaluate the condition, and put your options under California law in plain words. We then take proper legal action and give our Family Law assertive sympathetic counsel during the course of the modification procedure. Quick action is essential and you need skilled family law attorneys who will advocate on your behalf to safeguard that your rights are defended and that the law overseeing challenges to final judgments is maintained. Moreover, our know-how in handling multifaceted financial circumstances affords our clients with the expertise and thoroughness necessary to expose concealed assets and safeguard that the final judgment in your issue accurately signifies a just and reasonable disposition of the community assets. The Orange County Family Law Offices of Yanez & Associates, delivers keen representation in Southern California. Court orders for spousal support, child support , visitation and child custody can be modified as conditions change. At the Family Law Offices of Yanez & Associates, we aid men and women in obtaining a change of custody order or child support modification. If your income has been decreased due to job loss, illness, or other circumstances beyond your control, you may be entitled for a decrease in child support responsibility. If your child support contribution included child care and your child discontinued child care services, you may qualify for a decrease in support. However, if your income has increased, you may discover that your financial responsibilities for the child have also increased. An experienced child support modification attorney will be able to analyze your case. Your original court order for spousal support (alimony) was established upon certain factors. For instance, the judge’s estimation on how long it would take for your former spouse to get back on her or his feet. Moreover, if your spouse has remarried, or has found employment that permits him or her to become independent and to continue a similar standard of living, you may petition for the removal of spousal support. Number of reasons exist way parents ask for a modification in a child custody or child visitation orders. For example, parents choose to divide custody of a child more equally, giving the non-custodial parent privileges to additional visitation time. Another example, a court petition may result when one parent desires to relocate and child visitation becomes an arduous task for the non-custodial parent. In this instance, the non-custodial parent may ask for custody or may seek to impede the parent from departing with the child. The non-custodial parent may seek a modification in custody if the custodial parent is incapable of parenting for reasons of chemical dependency, illness or incarceration. Sometimes a parent’s employment situation may change; therefore, a modification of the child custody may be desirable for all parties involved. Divorce and child custody attorney Bettina L. Yanez labors with families to guarantee that their child’s requirements are not ignored in child custody and support modifications. Contact attorney Bettina Yanez about petitioning the court for a modification of court orders (support of child custody and visitation). 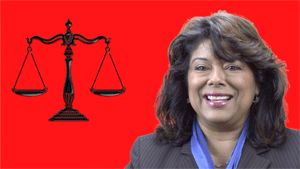 Call now for child support modification attorney Bettina Yanez.